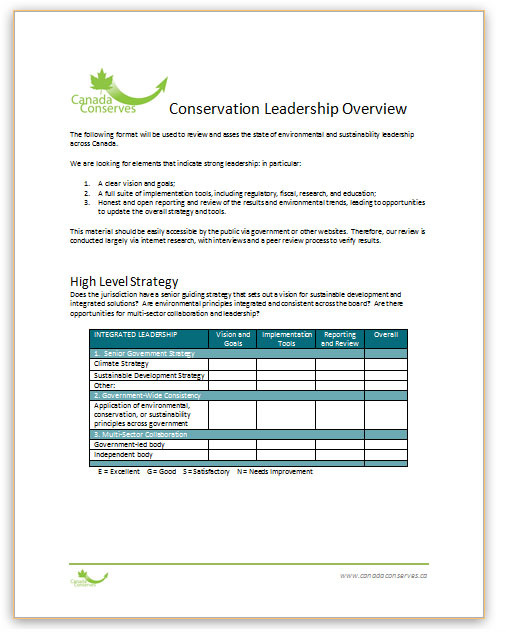 In order to compare and rate the effectiveness of environmental and sustainable development strategies across Canada, we have developed a common approach that we will use as the basis of our assessment. You can download a pdf of the form at right. We welcome your comments and suggestions. An initial scan of Canada’s climate and sustainability strategies has been incorporated into the research project on the Next Wave. More detailed reviews can be developed as an independent project.